Brick Bronze is a fan made Roblox game based on Pokémon, and it looks like what might happen if actual Pokémon were put into Minecraft, or if a kid mixed up his Lego sets and Pokémon figures. 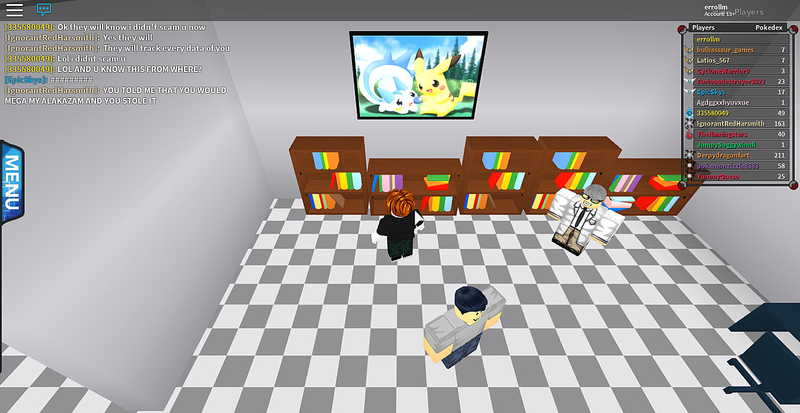 Brick Bronze does this by combining the blocky characters and environments of Roblox and the 3D Pokémon sprites from Pokémon Sun and Moon, putting them together in the same world. Brick Bronze is currently in its late Beta phase, so it's not quite finished yet but it's relatively close. 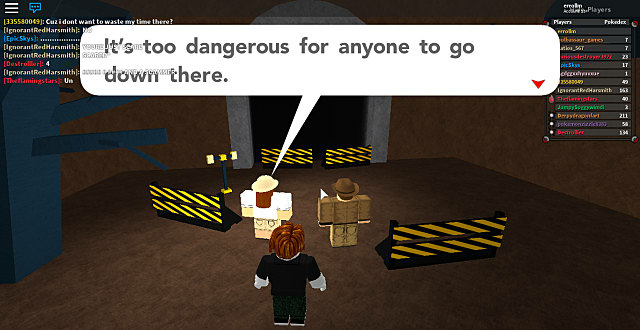 It's free to play once you download the Roblox program, but has optional in game purchases as well. 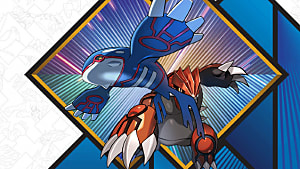 If you're a fan of Pokémon and tired of the 3DS games, or can't wait until a Pokémon game comes out on the Nintendo Switch, then Brick Bronze is definitely a game to try out. Below a brief summary of the game has been provided for those who would like to learn a bit more. 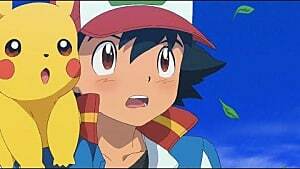 The story at the beginning of Brick Bronze seems similar enough to any official Pokemon game at first, you play as a character living in a small town who is just about to receive his first Pokemon along with his rival. There's also an evil you have to go up against -- which works itself into the plot a bit differently than any official Pokemon game -- badges to win from gym leaders, and a certain legendary Pokémon to be battled and captured. 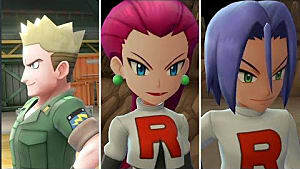 Even with the odd looking characters and contrasting graphical styles, the story and world building helps show the creators still are doing their best to make Brick Bronze feel like an authentic Pokémon game. Brick Bronze can seem weird at first, but once you get to battling it's easy to realize how similar it actually is to the most recent Pokémon games. 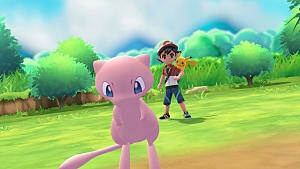 Once you get past the first parts of the game and aren't bothered by the graphics, it starts to really feel like something Nintendo and GameFreak could have made. 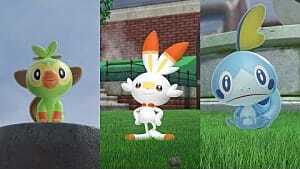 One noticeable aspect at the beginning of Brick Bronze is that you can choose one out of any of the 21 starters from the 7 generations of Pokémon, and are able to purchase any of the others from the Professor's Assistant for a small fee once the option is unlocked. Unfortunately, as of right now they don't seem to give you the option to nickname your starter Pokémon for some reason, but you can still nickname any Pokémon you catch out in the wild. After you get through a few routes and the first town, you can challenge the first gym. Without spoiling which type this gym specializes in, it's one which hasn't been the first gym in any mainline Pokémon game, which makes it a bit more interesting. The Gym also has a surprising choice of music to go with its theme. 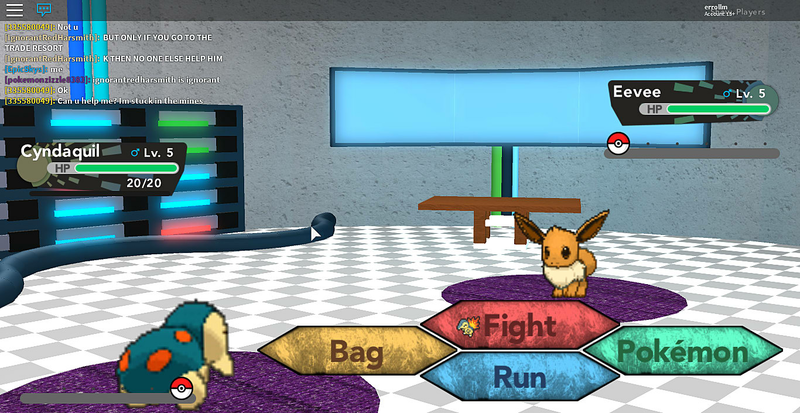 Brick Bronze is a relatively standard Pokémon fan game with a few new features. 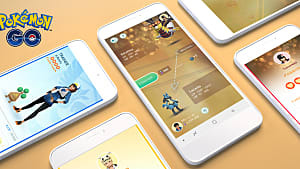 The most interesting of which is the RO powers, based off of the O powers from X and Y. RO powers can help you earn EV's Faster, get more experience, increase shiny and legendary encounter rates, hatch eggs faster, and earn money faster. This would be a much better mechanic if it weren't for the fact that you have to spend real money to about the currency to activate them. RO powers aren't necessary to play the game, however, and you can play Brick Bronze without using them at all. 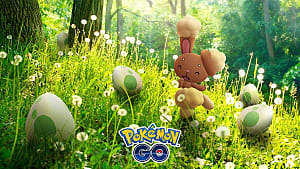 There are plenty of easily obtainable shiny and legendary Pokémon in the game already, and the game seems to be around the same length as an official Pokémon game, so experience and EV boosts aren't needed. Another notable feature in Brick Bronze are that it has all or at least most of the correct sound effects from the official Pokémon games for leveling up, obtaining Pokémon, and evolving, which is a nice touch. On the other hand, at the moment there is no change in music for when you catch a Pokémon or win a battle, which feels a bit strange, but hopefully they'll add that music in soon. There are also some distinct touches which make Brick Bronze feel more unique as a Pokémon fan game. There's a popular coffee shop called Sawsbucks, framed Pokémon fan art in almost every building, and plenty of silly Pokémon references -- such as the "Eager McBidoof" line featured above. Although some of these seem like they belong in the original 1997 anime series English dub, they add a bit more charm to the game and make it just a little more enjoyable. There also happens to be a strange and mysterious deer man you can't talk to who follows you around for some reason. 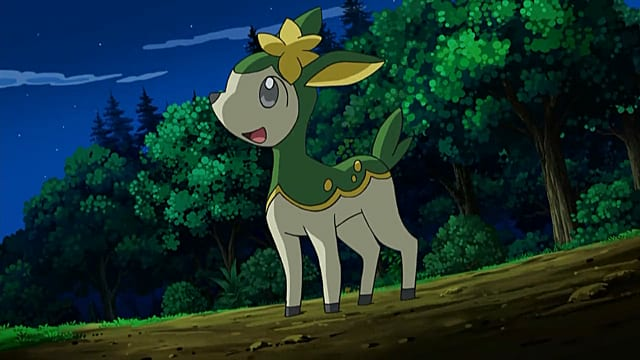 This character is so strange in fact, that pictures took of him refuse to upload, so here's the deer Pokémon, Deerling (Summer Form), instead. 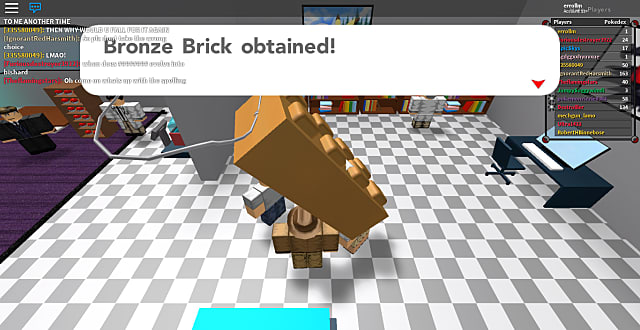 Brick Bronze unfortunately always requires an online connection to be played, but features an in game chat function, and an easily usable friend adding system, unlike Nintendo consoles. 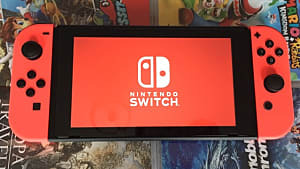 It also will sometimes take awhile to load, glitch out or the connection will drop, problems which don't happen too much but it's always a good idea to save your game often. As mentioned earlier, Pokémon Brick Bronze is still in its beta phase -- so there are a few things that still need to be worked on -- but its a fun fan made game for any fan of the series. 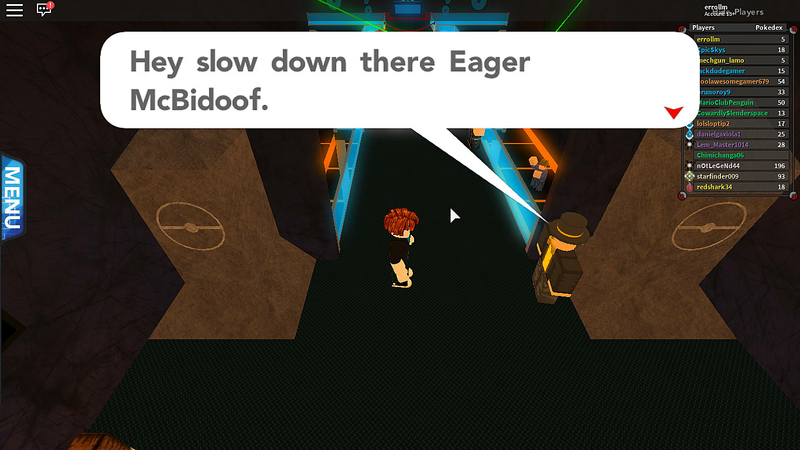 Make sure to download it on the Roblox website and play it before Nintendo gets the chance to shut it down.